PS4 disc version reviewed minus the snazzy packaging. 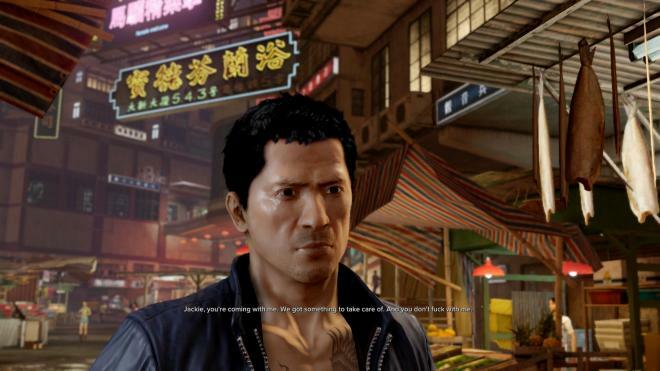 Portions of this review are shared with Mike Flacy's review of the Xbox One version of 'Sleeping Dogs: Definitive Edition,' the Video and Audio sections are PS4 specific, as are the screenshots. Back in 2012, there was a game that had all the makings of AAA bust. The spiritual successor of the 'True Crime' franchise, this was a game that had been batted around and was left twisting in the wind after Activision Blizzard axed its original incarnation, 'True Crime: Hong Kong.' Ultimately, Square Enix picked up the publishing rights to the series and 'Sleeping Dogs' was born. 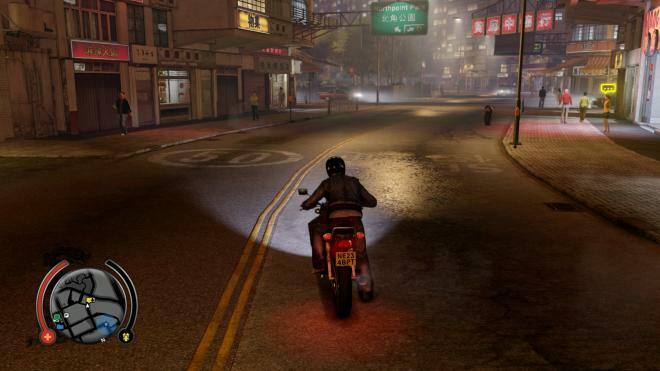 With the gritty underworld of Hong Kong as a backdrop, the game became a last-gen (and PC) hit. 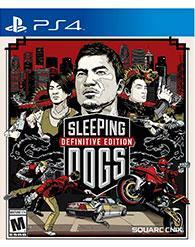 'Sleeping Dogs: Definitive Edition', packages the core game with three main story DLC packs as well as over 20 DLC packs with additional vehicles, weapons and costumes. The new version also promises some light rebalancing and fixes as part of its new-gen polish. In addition, the release has been upgraded to native 1080p with the promise of a more robust, vibrant Hong Kong due the additional horsepower of the Xbox One, PS4 and PC. For those that haven’t played 2012’s 'Sleeping Dogs', it’s quite the underrated gem. I tackled it for the first time on the PC during 2013 after picking it up during a Steam sale, though at that time the last thing I thought was a future re-release. Back to the game, blending the gameplay styles of the Grand Theft Auto and Batman franchises, players take control of Wei Shen, an undercover police officer that’s attempting to climb the ranks within the Hong Kong criminal underworld. Shen walks a tight line between committing crimes for the Triads while supplying information covertly to his handlers within the Hong Kong Police Force. This power struggle continues throughout the game and makes for an excellent narrative. Plot pacing and character development are excellent, easily rivaling games released by developers like Rockstar and Naughty Dog. One of my favorite aspects of the game is the character development system. Throughout the game, the player is awarded for completing tasks for the Triads and the police as well as finding jade statues for a former Kung Fu instructor. This translates into points that build up until reaching the next tier in the progression tree. The tree splits into two paths for each, thus I got to pick the skills that best supported my playing style. For instance, I preferred the upgrades to car skills, like cracking open a car with a Slim Jim, over the disarm skills in the police tree. I also liked that the game heavily integrates collectables / tasks into the progression system. Want a permanent health boost? Hunt down all the health shines in the area. Want to unlock more skills in the police tree? Setup more drug busts by hacking into cameras. Want to buy some new threads to increase XP bonuses? Track down the various money packages hidden within the city. I’m something of a freak when it comes to hunting down collectibles, thus integrating the core game into my obsession gradually over time makes for a much more rewarding experience. Directly comparing the PS4 version of 'Sleeping Dogs: Definitive Edition' with the PS3 outing, the PS4 boasts a sharper, little brighter image versus the slightly washed-out visuals on PS3. There's more gloss and polish. Small details (i.e. the air conditioner in Wei Shen's room) are murkier on PS3, while fully refined on PS4. Nature comes to life in a more vivid way, but the leaves (for example) reveal their flatness and limited design, which is the true mark of an upscaling job. More refined, yes, but also a bit more sterile. The underbelly of Hong Kong was grainy and gritty, and is now cleaned up. Even the filth is has been enhanced. Draw distance is greatly improved, whereas the PS3 still utilizes N64-esque fog. Barely noticeable, though, while in hot pursuit of gang members. The PS4's framerate is more consistent, which is to be expected compared to a console six years its senior. The iconic Aberdeen Bridge has lo-res rendered buildings in the background, compared to the very detailed building on the PS4. The city vista view you get at Victoria Peak leaves a lasting impression on both consoles. In all, 'Sleeping Dogs: Definitive Edition' impresses visually, but has too few improvements to be considered a graphical flagship for the fledgling console. Just cruisin' in your car with a top tune and the soft rains of April caressing down remains a truly sublime gaming experience. 'Sleeping Dogs: Definitive Edition' has slightly crisper sounds, but is on the whole very comparable to the original PS3 version (which admittedly had very sound sound design as it was). Sound bites impress with sonic clarity, but the PS3's night market had more grit and background hiss which made for a more immersive and realistic background environment. As if they've removed buskers and beggars and just focused on the merchants. Gentrification of Sleeping Dogs' Hong Kong leads to a too cleaned up interpretation of the former raw streets. But rest assured: the excellent choice of music all around is still proudly present. While somewhat silly and comedic at times, the DLC brings several hours of fun after completing the main campaign. My personal favorite was the narrative within 'Year of the Snake', namely because the events take place after the main game and give a bit of insight into what happened to Wei after everything was wrapped up. It’s pretty simple to invest more than handful of hours completing the 12 main missions in the DLC pack as well as all the additional side missions that have been added. In addition, playing the DLC pack will insert a new vehicle in the garage in the main game, a speedy police bike. 'Nightmare in North Point' is also interesting, but steps away from what made the core story so good in order to pursue a supernatural angle to the narrative. It also pales in comparison to 'Undead Nightmare' in Rockstar’s 'Red Dead Redemption', specifically because the story is weak and the atmosphere isn’t as convincing. It relies far too much on chase sequences, one of my least favorite mission types in the game. 'Zodiac Tournament', the third main story DLC pack, is also an interesting diversion for anyone that enjoys 70’s Kung Fu flicks, if not extremely short lived. The biggest flaw of 'Sleeping Dogs: Definitive Editio'n isn’t really anything in the game itself, it’s the fact that Square Enix has priced the game at the same MSRP as brand new 2014 games, $59.99. At such a high MSRP, it doesn’t make any sense to upgrade to the Definitive Edition if you still own a previous generation console or a gaming PC. Heck, the base game was free for Xbox Live gold members during January 2014 and for PlayStation Plus members during May 2013. In addition, the base MSRP of the Definitive Edition on PC is half of the Xbox One edition, $29.99 (a price that will likely drop under $10 during the Steam Autumn Sale). It feels like Square Enix lost an opportunity to encourage owners of the previous generation game to upgrade to the Definitive Edition. Anyway, I can only recommend this edition to gamers that only own an Xbox One or PS4 and never played the game on any other platform. 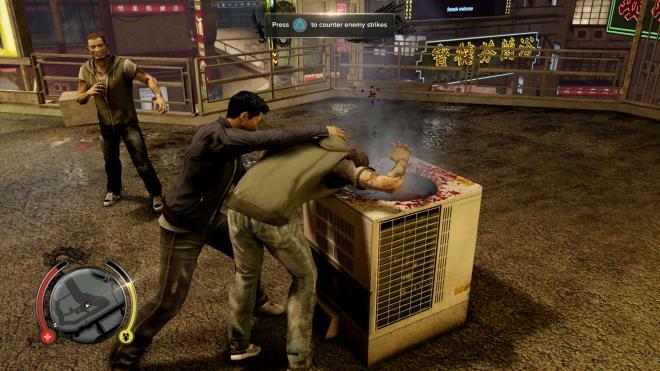 If you are brand new to Sleeping Dogs, the Definitive Edition is the absolute best way to experience the game. In addition, look into preodering the physical disc edition rather than the digital edition. The disc edition comes with limited edition artbook packaging, a cool collection of concept art related to the game.